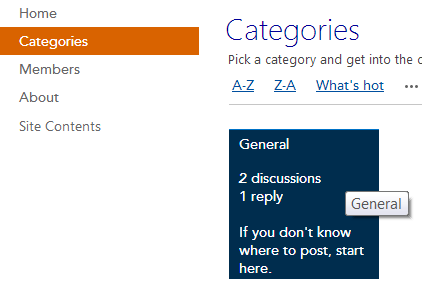 Recently an issue was reported about count mismatches in SharePoint 2013 Communities. The number of replies in category tiles sometimes is different compared to the community stats in the web part called “What’s happening”. The actual number of replies is 1 in the figure below. The user who has reported has tried to add, update and delete discussions and replies. I have invested some time debugging this issue. It would be pity to not share my findings. Well the first thing to do was to determine the type name for the “What’s happening” web part. To do so just edit the page and export the web part. 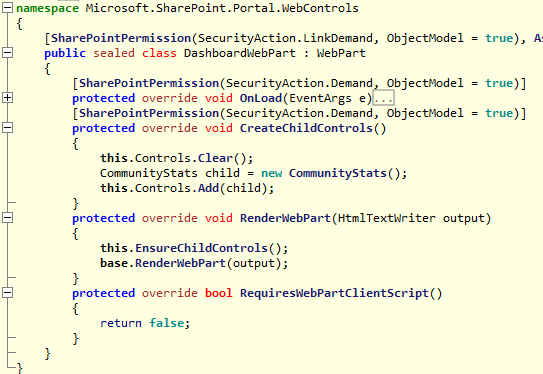 In the exported .webpart file I saw that the type was Microsoft.SharePoint.Portal.WebControls.DashboardWebPart. 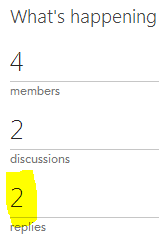 It means that it gets the number of both discussions and replies: ItemCount of Discusssions List. 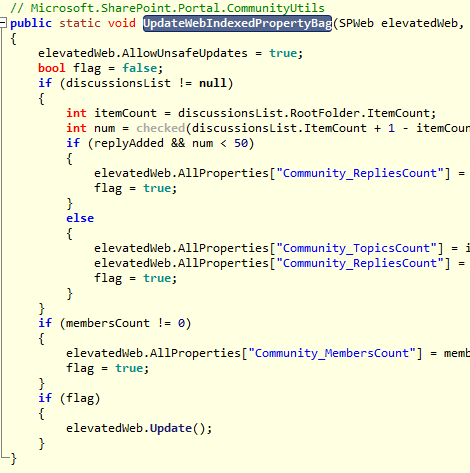 The number of Discussions is determined by the ItemCount in the RootFolder of the Discussions List. Discussions are List Items in the RootFolder (num2 in the figure below). Replies are saved in the subfolders, every discussion gets an own folder. The number of all replies are num3 in the figure below. 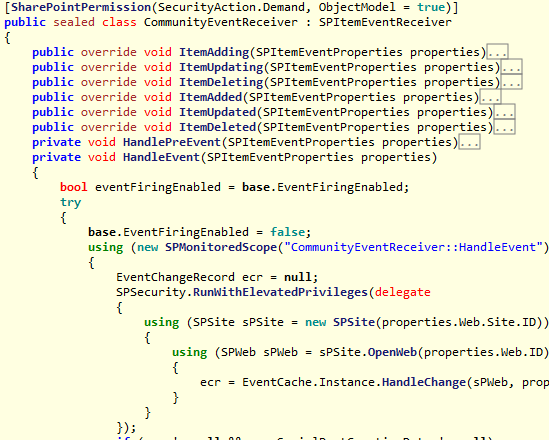 After checking the web properties I could see that the number of replies there were wrong: 2. 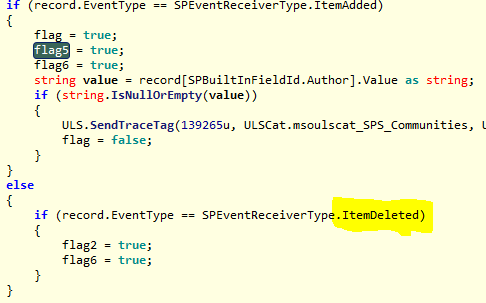 To summarize the debug session, there is an issue in the OOB code that misses to update community stats when deleting a discussion or a reply. 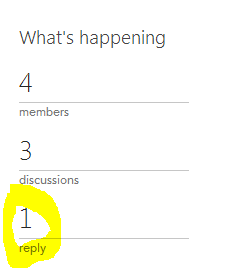 Adding a new discussion, or a reply will synchronize the stats.